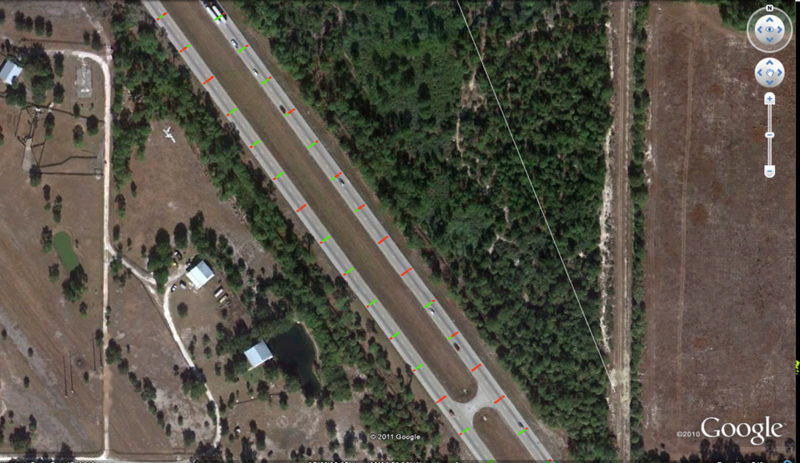 Pavement management incorporates data collected utilizing various methods to gain a complete view of how the pavement is performing through its life-cycle. 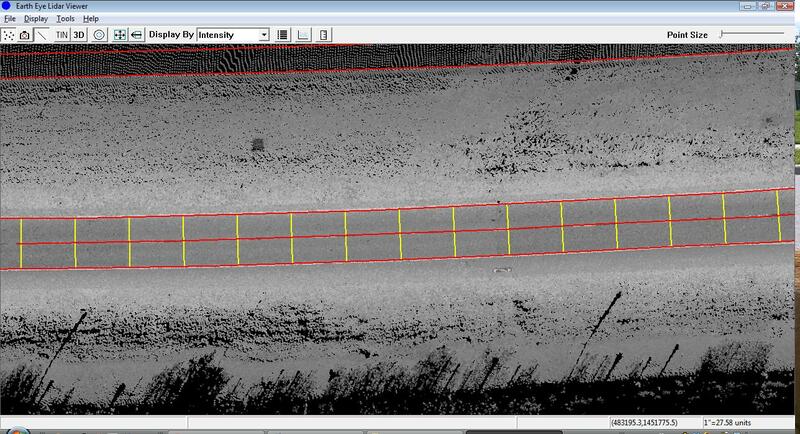 One of the most common practices in pavement inspection is imaging utilizing high-resolution cameras mounted on vehicles outfitted with precision GPS and inertial navigation. 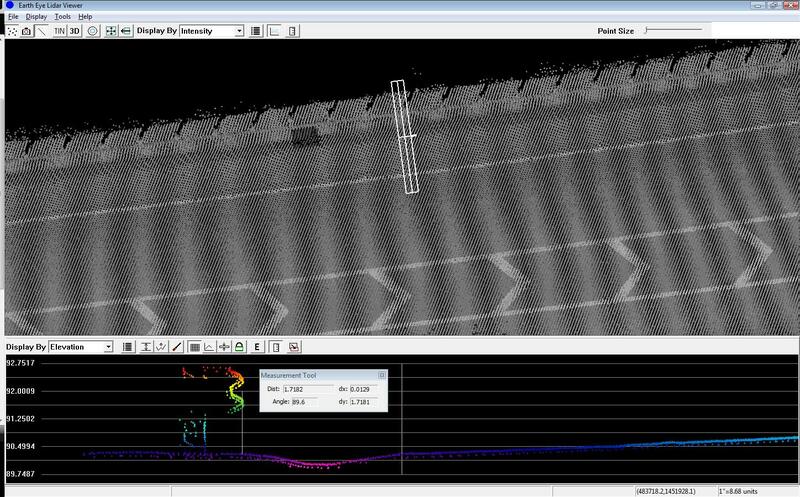 This imaging, when combined with laser profiling, constitutes a typical pavement inspection setup utilized by many DOTs as well as Local government agencies. Pavement Inspections tend to follow a process that in many cases is proprietary and “black box” in nature. This makes it hard for the purchasing agency to see how their roads were inspected and how the resulting pavement condition scores were generated. Our team of Engineers and GIS professionals have worked hard to develop a process to remove the “black box” related pavement inspection and to make it easy and simple to trace inspection results back to their originating distresses from the field. First, our entire process is geospatial in nature from the get-go. 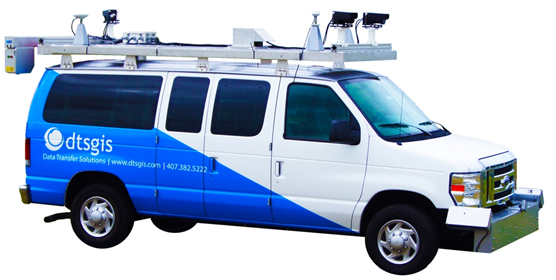 Our van’s location is tracked in six-dimensions in real-time and this information is used to calculate the exact location of pavement cracks in the resulting images. 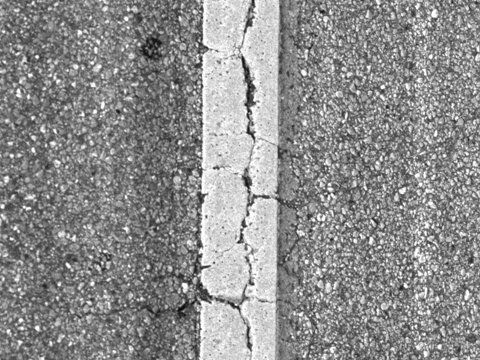 Next, the pavement images are geospatially referenced in 3-d and 1mm-pixel resolution, making it easy to extract low-severity cracks in a true 3-d environment. 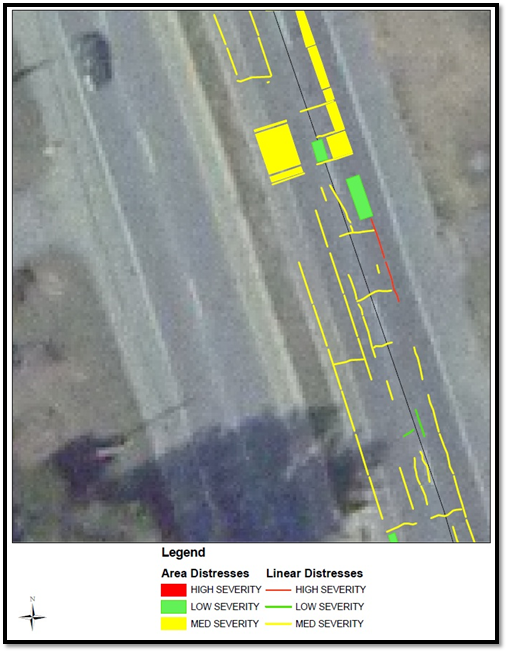 This process then allows us to create GIS vectors (points, lines and polygons) of each distress for each pavement image and deliver them to our clients as part of the pavement inspection deliverables. This is a crucial piece to the pavement inspection “story” because it shows the purchasing agency exactly what distresses were identified and measured when creating the pavement condition scores for a section of road. Being able to see these distresses on a map helps to complete the story by providing the ability for a rigorous QA/QC process utilizing some simple GIS tools. 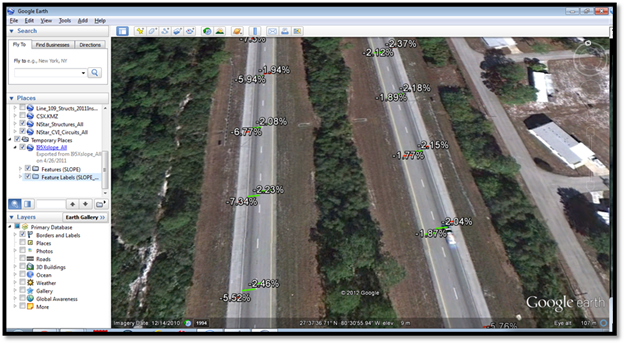 Each Section of road can be colored by the condition score and its range of values. This tells one component of its story. The underlying distress information tells the rest of the story related to “How” a section of road was scored and assigned its inspection score. 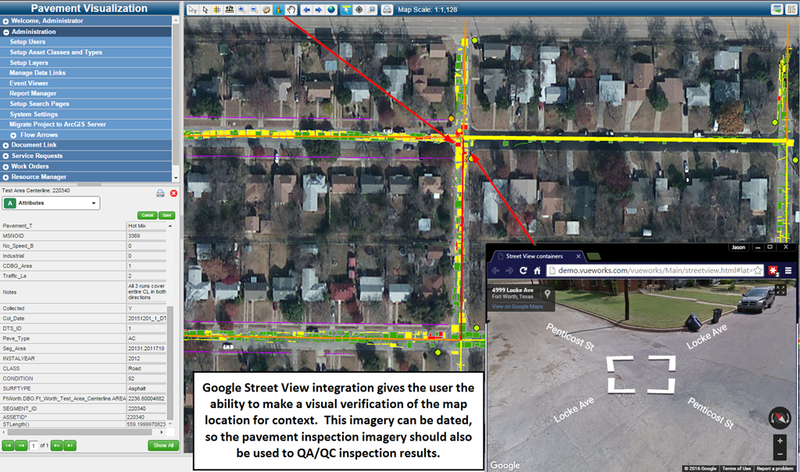 By having this information at their fingertips, pavement inspection personnel have a GIS-centric and user-friendly tool that allows them to QA/QC pavement inspection data efficiently. Asset management strategies–which is right for me? We get a lot of questions about developing the right strategy as it relates to assets that are managed by different agencies. These questions are typically focused on “How” to manage assets, which typically comes after the agency decides “Why” to manage assets. 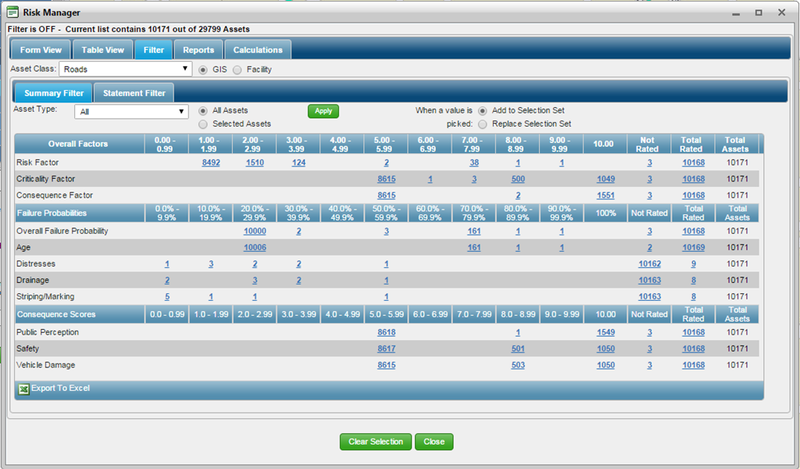 When is the best time to manage my asset in its life-cycle? When do I rehabilitate my asset? What do I do to the asset? 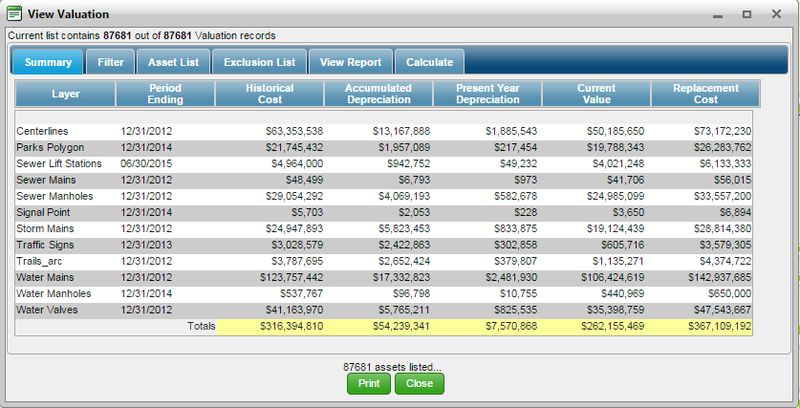 When do I replace my asset? Can I just let it runs its course and when it fails, replace it? Should I invest time and money in an asset early in its life-cycle or wait until it is in poor condition to fix it? We always recommend starting this process by understanding a few things about the asset. 1. Financial Considerations – How much does an asset cost to install and Maintain? Is it capitalized or not? In most cases, the cost of an asset has a large impact on how it is managed. This is not the only consideration, but we can use it as a starting point. 2. Risk Considerations – What are the consequences to the agency if this asset fails? Will someone get hurt? Will it cause an accident? These are closely tied to other financial considerations such as tort liability. 3. Life-Cycle Considerations – How does the asset typically deteriorate? Is it straight-line deterioration or more of a polynomial-type of a curve? This information helps determine what to do to an asset and when to do it (less cost when starting earlier in the process). Programmatic treatments or inspection-driven treatments are common approaches to managing assets with this approach. Once an agency has a solid understanding of the Financial, Risk and Life-Cycle considerations related to an asset, they can begin to develop a management strategy specifically for the asset type to be managed. Since every asset can be managed differently, we will focus on a couple of assets and their management strategy. Financial – Capitalized asset – high cost to install and maintain. Risk – Critical to the movement of people and commerce – high consequence of failure. Life-Cycle – Long-term asset with long-term life expectancy – Can be managed using a life-cycle or Inspection-based approach. Pavements have a long history of research and empirical data models that have been developed for Airports, Parking lots and Roads and a variety of software exists to support the maintenance of this asset. Therefore, it is pretty easy to choose an approach to manage pavement based on an agency’s goals and priorities. Typically this program is inspection-driven (every 3-5 years) and focuses on finding the best mix of Preservation and Rehabilitation activities designed to achieve their target Level-of-Service. Financial – Capitalized asset – low to high cost to install and maintain. Risk – Critical to the safety of people and commerce – low to high consequences of failure. Life-Cycle – Medium to long-term life-expectancy – Can be managed using a life-cycle or Inspection-based approach. Signs have less empirical data collected for them and can have varied Financial, Risk and Life-cycle information compiled and available throughout the industry. Strategies for management are typically focused on Life-Cycle and Risk and there are many methodologies that are accepted by FHWA. These are outlined in their Manual on Uniform Traffic Control Devices (MUTCD) and are widely utilized throughout the US. Financial – Capitalized asset – medium cost to install and maintain. Risk – Semi-Critical to the safety of people and commerce – low to high consequences of failure. Light poles are typically managed by inspection of their base attachments (every 10 years or so) but many agencies typically run these assets to failure (luminaire failure or pole failure). This is another mixed bag of management because some light poles provide a critical safety function (DOT) and others just light the way for safety (walkways) and are not as critical to the daily operations of an agency. These are just a few examples of strategy development – we would love to see comments related to the infrastructure that you manage and we will reply with some of the Industry’s Best-Management-Practices (BMPs) that are successfully used throughout the US. 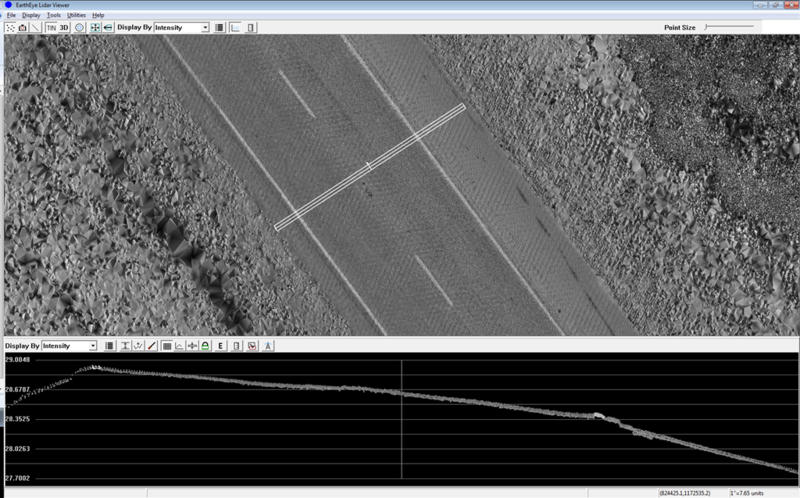 Automated Pavement Distress Analysis – The Final Frontier? 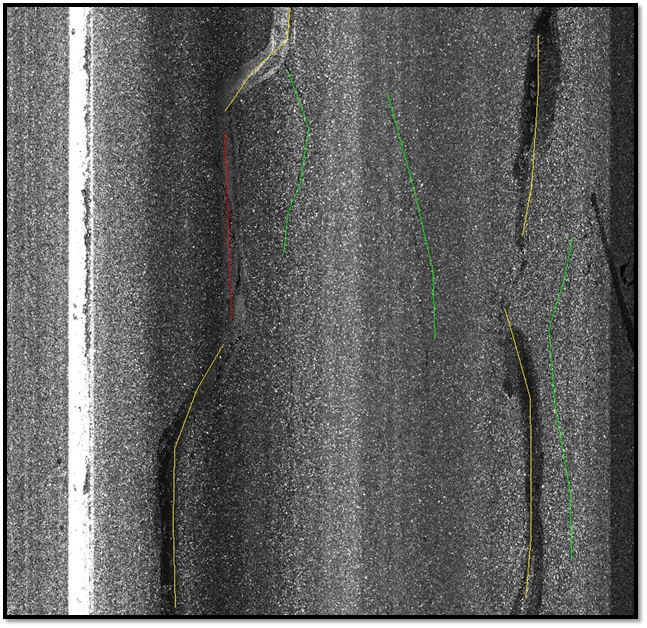 We have been working with some automated methods for quantifying crack measurements and have had some interesting results. How great would it be to collect pavement images, batch them on a server and have it spit out accurate crack maps that you can overlay in a GIS? The technology is here! Or, is it? Most pavement inspections involve intricate processes where pavement experts rate segments visually, either from field visits or rating pavement images in the office. This introduces a lot of subjectivity in the rating results and typically culminates in a spreadsheet showing pavement ratings by segment. 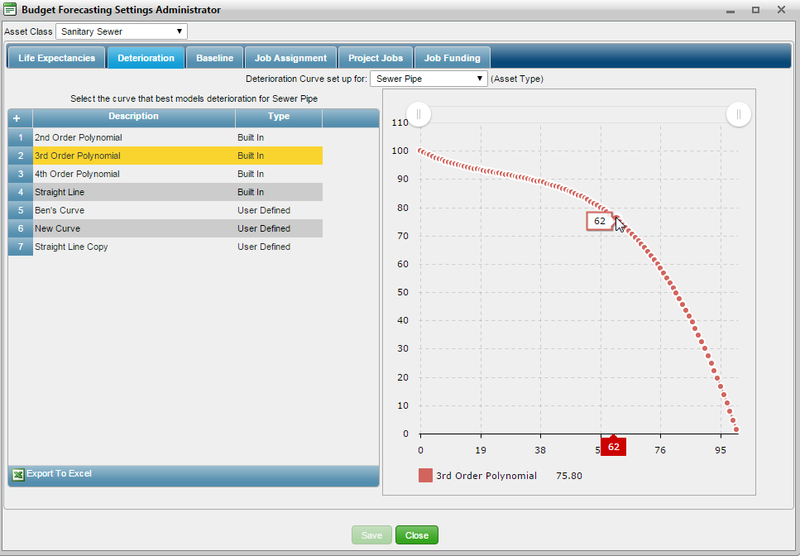 The data is then modeled using ASTM performance curves that have been built from industry proven pavement experiments. There is no doubt that these curves are tried and true representations of how pavement performs in varying physical and environmental conditions and each project should take these factors into consideration when developing the preservation plans for an agency. 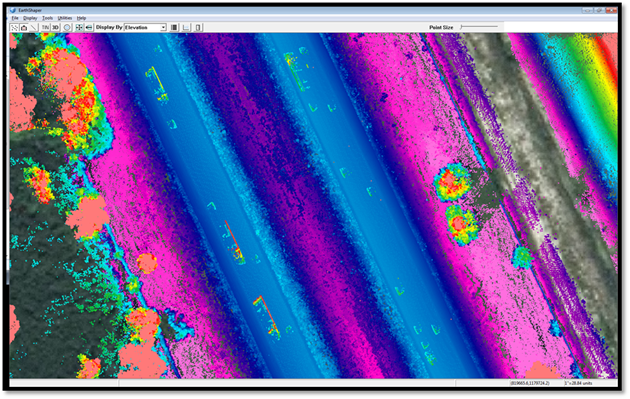 First, we begin with a pavement image from our LRIS pavement imaging system. 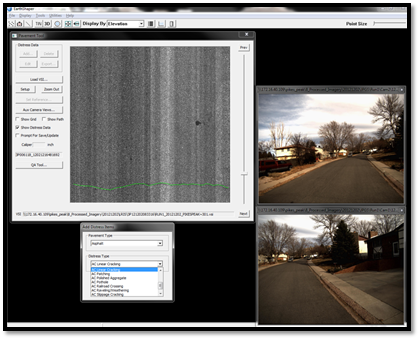 Images are captured at a 1mm-pixel resolution and then analyzed through an automated image processing workflow. 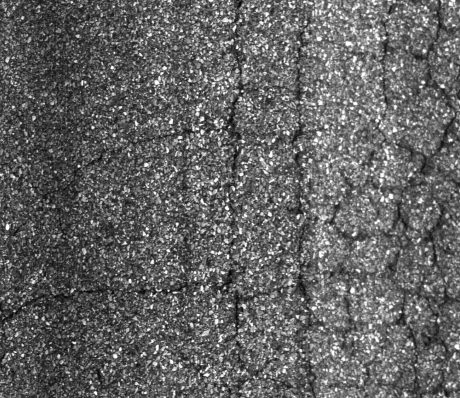 The resulting image creates a “crack map” that identifies the type, severity and extent of the distresses on that section of pavement. The process is fully automated and handled by the computer. Once we have the crack maps in place, we then apply a manual editing process that is GIS-centric by nature and the resulting crack map is a more accurate representation of the real-world conditions. 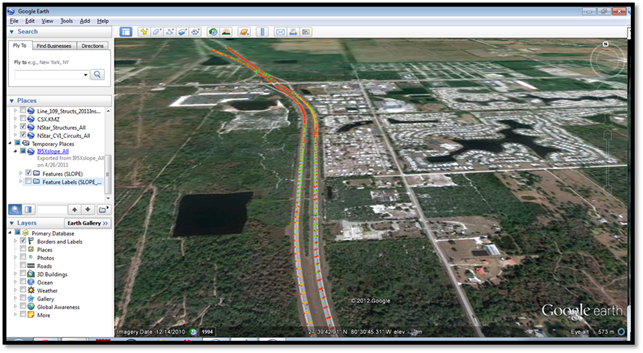 Once the edited crack maps are compiled, the data is exported to a GIS where the extents are calculated geospatially and then integrated with a pavement management system. This is where all of the Pavement Condition Indices (PCI) are calculated and applied to each agency’s specific pavement rating methodologies. Since the process is geospatial in nature, it is easily imported to ANY pavement management software and gives our clients the flexibility to apply any rating methodology they desire. Of course, all agencies have a certain spending threshold and there are cases where automation is the only way to cost-effectively manage large volumes of data. We recognize this fact and are working hard to bridge the gap of available funding and high quality data. 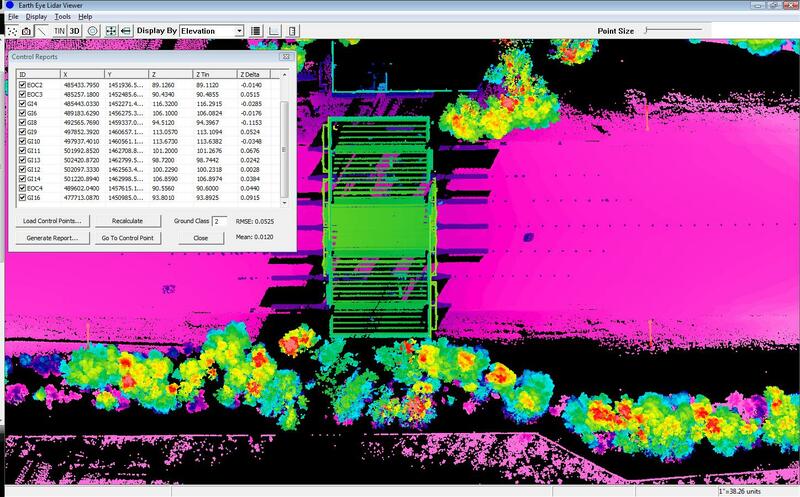 We just completed a mobile LiDAR project that was designed to support a roadway resurfacing project in Orlando. 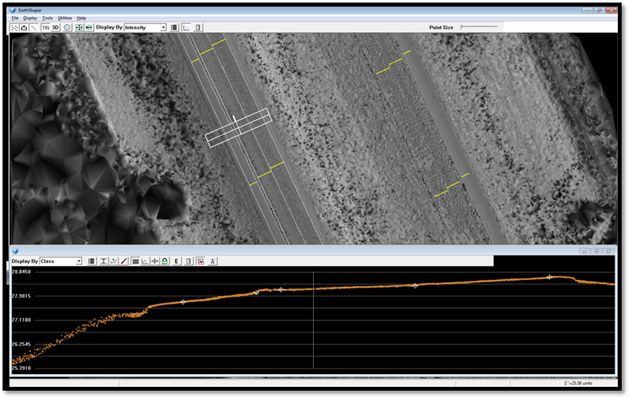 The project was centered on the use of mobile LiDAR to generate roadway profile data that Engineers could use to design a resurfacing project. Obviously the data would need to be accurate and we were able to hit the mark and best of all – prove it! 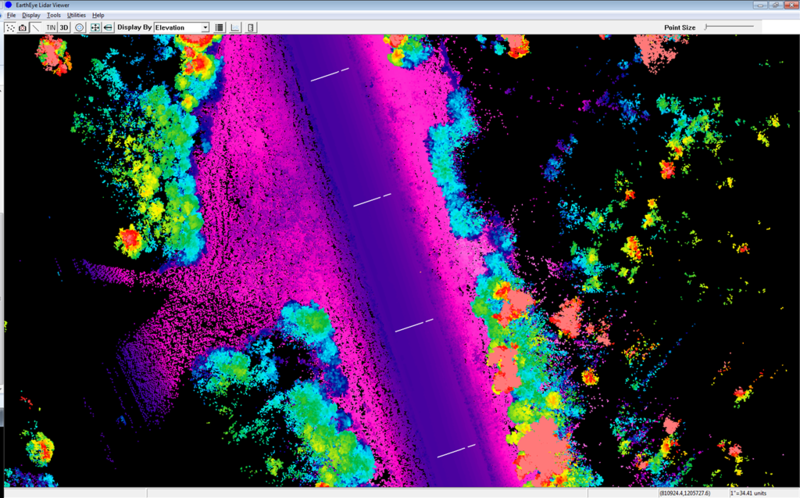 We collected the data using the new Riegl VMX-250 mobile LiDAR unit using a single pass in the north and southbound directions. We only required one pass in each direction to collect the road data which makes it very efficient from the data collection standpoint. In the past, we had to collect “strips” of data and then “sew” them all together during the calibration process. In this case, we took the opposing (NB and SB) strips and calibrated them relative to one another and then they are brought down to control as a final step. 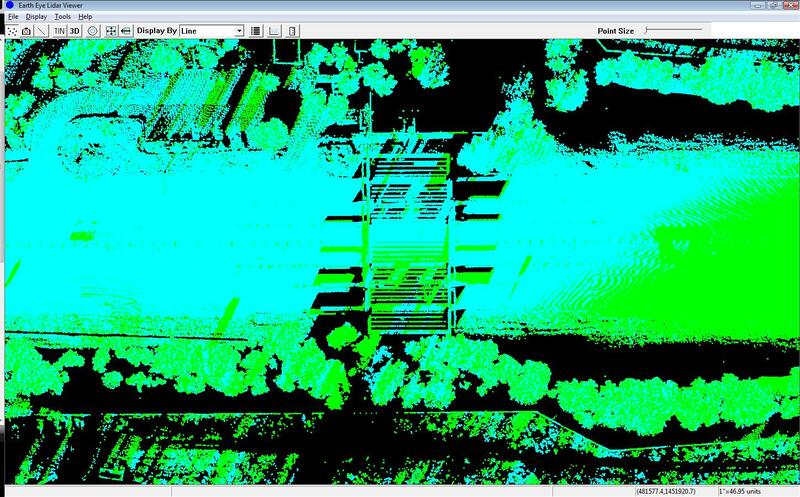 Most of our clients are interested in the overall accuracies of the data, so we have built accuracy assessment tools that make it easy to review the LiDAR against survey control. 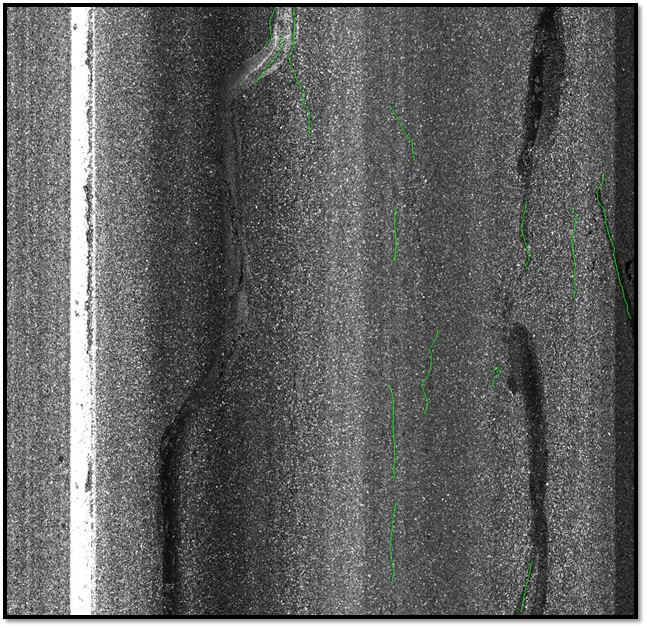 The tool is simple to use and allows us to sort the results and dig deeper into the least accurate points to see why there might be discrepancies in the control vs the TIN surface. For this project, we achieved an RMSE of .0525 ft – calculated by comparing the control elevations (Z) against the TIN elevations (Z TIN). 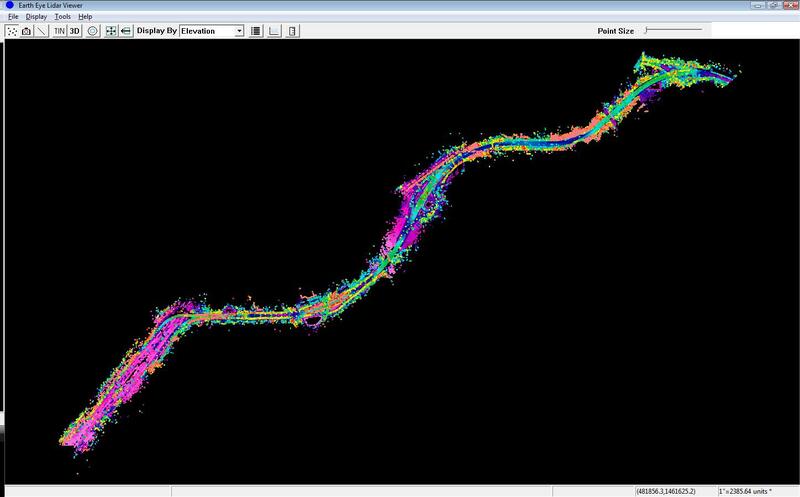 This is important because we can check the point cloud against known control that was collected throughout the project and provide detailed information about the accuracy of the data. 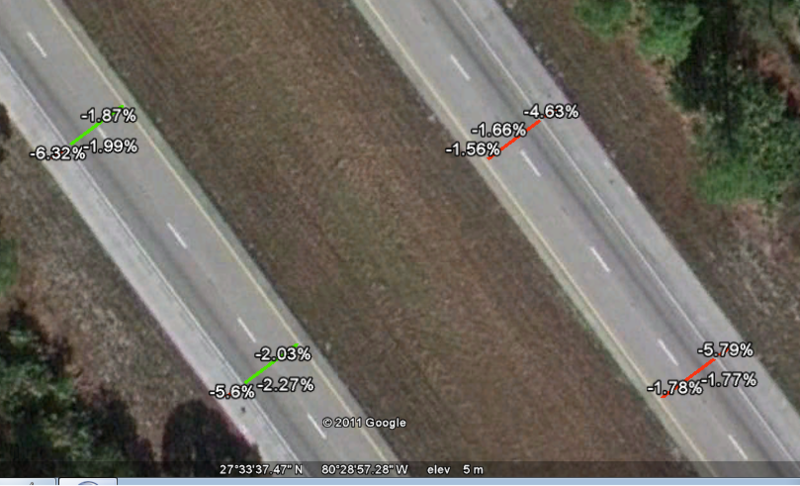 This data set also supports detailed engineering analysis related to guardrail height above the roadway. This is an important factor to consider because there are specific standards that define where the guardrail is placed, more specifically, its height above the roadway, to corral vehicles that end up impacting the guardrail in an accident situation. 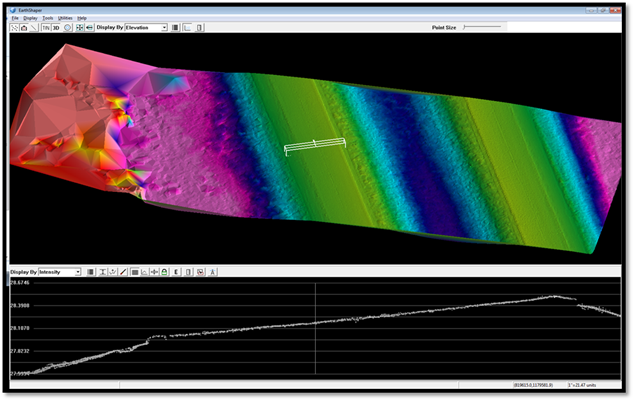 The following graphic displays how this measurement can be made in the point cloud data.